During my recent participation in Eksplorasi Media Memorial programme, I stayed at Bagasta Boutique Guesthouse, Kuala Lumpur. The following is my review of the hotel. 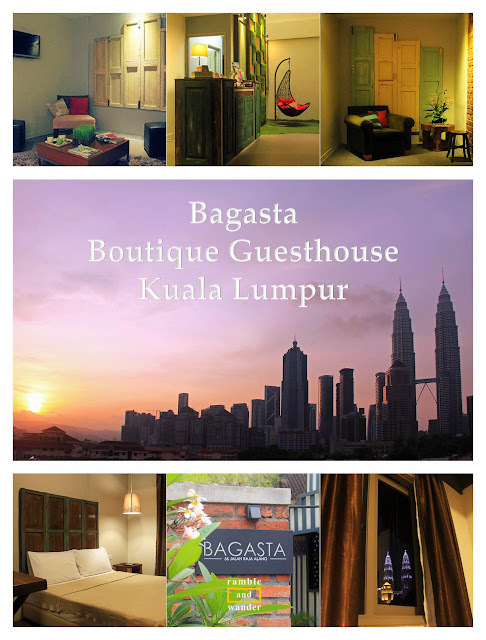 Bagasta Boutique Guesthouse is a small independent 3-star hotel that is located in Kampung Baru, a historic Malay enclave that has retained its village lifestyle, right in the heart of Kuala Lumpur. We arrived at the hotel late in the afternoon and our rooms were assigned almost immediately. The reception area, by the way, is located on the first floor of the building and is accessible only by a staircase. It is quite small but cozy with plenty of seating area. The hotel has 30 rooms. My room (Room 106, a double room) was neither big nor small. It comes complete with a bedside table, a small work/dressing table and a wardrobe. The room also has a tea/ coffee making facility and an LCD TV. The mattress and bed are comfortable. Linens and towels are okay. The bathroom is split into a shower and a toilet, each is rather small but still of an acceptable size. All rooms are furnished with a mixture of old Malay antiques and contemporary furniture and fixture, in line with the hotel’s theme, which is to offer a “modern kampung (village) experience”. Overall, the room is well furnished and comfortable and should be good for a short leisure stay. Some of the rooms (including Room 106) have the view of Petronas Twin Towers and KLCC. The hotel doesn't serve any breakfast nor do they have any in-house restaurant. However, it is surrounded by plenty of restaurants and food stalls that Kg. Baru is so popular with, so much so your problem would not be that they (the hotel) don’t offer any breakfast but it’s about what and where to eat. The hotel doesn't have any other facilities like a swimming pool or a gym but it has a rooftop area where you can relax whilst enjoying a panoramic view of the city of Kuala Lumpur. Kg. Baru is a food haven, an area that has plenty of restaurants and food stalls selling local & western dishes as well as fresh fruits. Some of these are very popular especially among the locals. Of note is probably Nasi Lemak Antarabangsa, a small restaurant and name that has become synonymous with nasi lemak - a rice dish cooked in coconut milk - which at one time or another, has been considered as the national dish. If you’re not driving, your best public transport option would be the LRT (Light Railway Transit). Kg. Baru LRT Station on Kelana Jaya LRT Line is about 500m away from the hotel. The station is just one stop away from KLCC LRT Station (where Petronas Twin Towers is located) and 4 stops away from KL Sentral, the main public transportation hub in Kuala Lumpur. If you’d like to explore more of Kg. Baru, you can join KL City Hall's Kg. Baru Cultural Guided Walking Tour, which is conducted every Tuesday, Thursday and Sunday from 4.30 p.m. to 7 p.m. starting from the nearby Kelab Sultan Sulaiman. You can refer to the reception for more information on this free walking tour. I would like to thank Santai Travel magazine, Arkib Negara & Bagasta Boutique Guesthouse for the arrangement to stay at the hotel. The stay was sponsored as part of Eksplorasi Media Memorial programme. The sponsorship however has in no way affected my review of the hotel. Going to Kuala Lumpur? Do check out these Kuala Lumpur hotels for your accommodation requirements there. Looks great! Comfortable and very well located. We've yet to visit KL, but have enjoyed staying in other parts of Malaysia. I do think it's well located although most tourists prefer to stick to just Bukit Bintang area, which I think is a shame. But the hotel is certainly comfortable. Looks like a small comfy hotel. I like the Malay antiques and contemporary furniture. Yup, I love the concept too. Quite unique, actually, even in KL. Looks like it can be a home away from home! Love the rustic feel in the city! I feel the same way too! It's such a contrast, and beautiful in a way! I like to choose hotels close to good, local eating establishments. I will keep this hotel in mind during our SE. Asian trip coming up soon. If that's your only criteria, then I would certainly recommend the hotel. I'd say _almost_ every spot along the road the hotel is on is filled with either small restaurants and food stalls offering mostly local dishes. The best is the roof top view! Concisely written. Loved that you included the map (very helpful touch). This is a great coverage of the hotel which looks reasonably priced with enough comfortability and luxury. That roof top entices me too! Looks like a great little modern place! The decor looks cute. 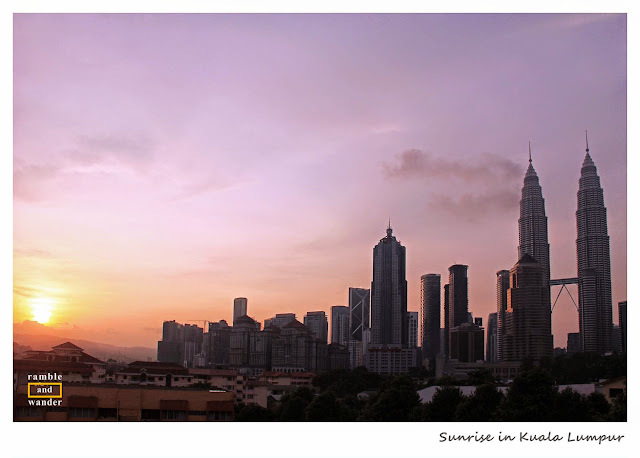 I would love to visit Kuala Lumpur, I've always heard great things about Malaysia. I actually love the decor. It's something different from other hotels. Could you please make a dedicated post for Kampong Bharu/Lampung Baru? About the attractions there, places to eat, where to stay,etc... Kampong Bharu is seriously an underrated attraction and hidden gem of KL.